Simon & Schuster Children's Publishing, 1997. Hardcover. Acceptable. Disclaimer:A readable copy. All pages are intact, and the cover is intact. Pages can include considerable notes-in pen or highlighter-but the notes cannot obscure the text. The dust jacket is missing. At ThriftBooks, our motto is: Read More, Spend Less. Simon & Schuster Children's Publishing, 1997. Hardcover. Acceptable. Disclaimer:A readable copy. All pages are intact, and the cover is intact. Pages can include considerable notes-in pen or highlighter-but the notes cannot obscure the text. At ThriftBooks, our motto is: Read More, Spend Less.Dust jacket quality is not guaranteed. Simon & Schuster Children's Publishing. Used - Good. Shows some signs of wear, and may have some markings on the inside. Simon & Schuster Children's Publishing, 1997-10-01. Hardcover. Good. Simon & Schuster Children's Publishing. Hardcover. 0689813759 Like New Condition. . Fine. 1997-03-01. Good. Ships with Tracking Number! INTERNATIONAL WORLDWIDE Shipping available. May not contain Access Codes or Supplements. May be ex-library. Shipping & Handling by region. Buy with confidence, excellent customer service! Simon & Schuster Children's Publishing. Hardcover. 0689813759 New Condition. . New. 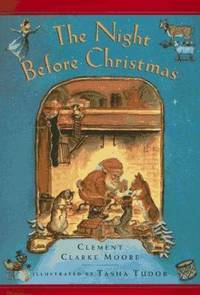 U.S.A: Simon & Schuster Children's Publishing, 1997. Hard Cover. Like New/Like New. Like new hardback and jacket! Library Binding: jacket is enclosed in mylar that is permanently affixed to the boards. Absolutely no library markings! Binding is tight and square. Text is clean, unmarked. (Shelf location: L5) All items carefully packed to avoid damage from moisture and rough handling. Tracking included.